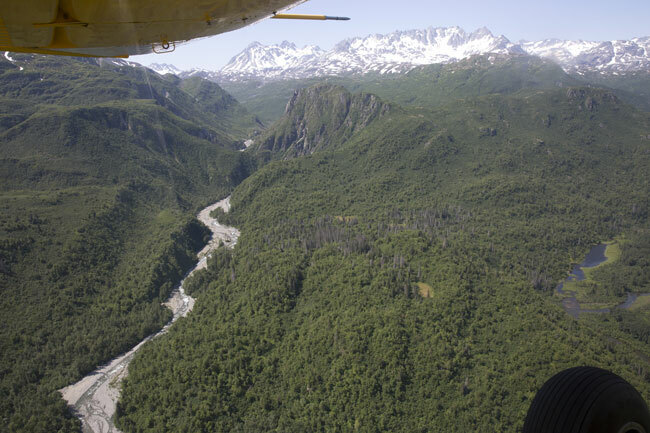 The remote and rugged terrain of Alaska hides the fates of hundreds of missing planes and people. Does new technology hold the key to making such mysteries a thing of the past? On September 9, 2013, Alan Foster landed in the southeast village of Yakutat on the final leg of an almost 4,000-mile-long journey that began when he picked up his recently purchased PA-32-360 in Atlanta. Foster had over 9,000 hours of flight time and had flown for a variety of Alaskan air taxis and commuters. He was only 360 miles from home in Anchorage and eager to return to his family. After refueling, he departed and contacted Juneau flight service for an update on the weather, explaining he would stop in the town of Cordova, about 200 miles away, if conditions required. Eighteen minutes later, between the Gulf of Alaska and Malaspina Glacier, radar showed a transponder target near 1,100 feet. If it was N3705W, this was the last record of the aircraft before it, and Foster, disappeared. Because of Alaska’s size, its rugged terrain and its often severe weather, flying there is a serious endeavor unforgiving of mistakes. The state covers 663,000 square miles of land and has a coastline 6,640 miles long. It contains North America’s tallest mountain, active volcanos, two national forests, over 100,000 glaciers and the mighty Yukon River. Moreover, its weather, with fast-forming storms, hazardous icing conditions, and frequently obscured mountains and passes, results in a widely varied climate that is often not conducive to flight by visual references. Given all of these factors, disappearances in this overwhelming landscape are part and parcel of the state’s reality and, even more so, its ever-powerful mythology. Occasionally, Alaska does give up its secrets and missing aircraft are eventually discovered. 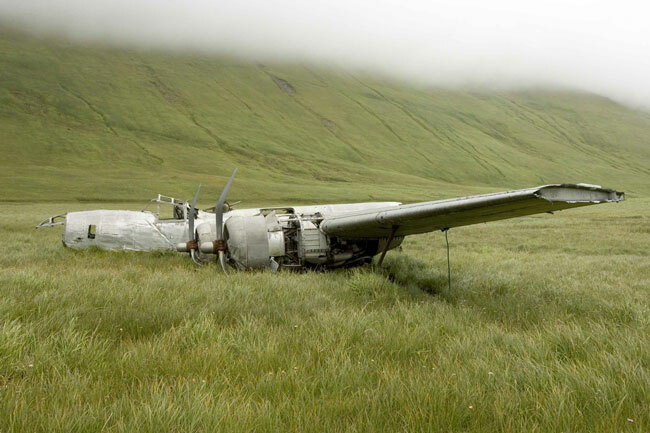 In 1979, two hikers at the head of the Ivishak River, in what is now the Arctic National Wildlife Refuge, stumbled upon the totally destroyed wreckage of a Grumman Goose that had impacted the mountainside at the 5,700-foot level. The subsequent investigation determined that it was the remains of N270, which disappeared on August 20, 1958. Flown by Clarence Rhode, the Alaska regional director of the U.S. Fish and Wildlife Service, the flight also included his son and a fellow Fish and Wildlife agent. They were last seen by field scientists at Peters Lake, and their intended destination was a supplies cache for Fish and Wildlife at Porcupine Lake. Their crash site was 25 miles from their destination, but because of the vegetation, it was never seen during the initial search. The crash of Rhode’s Grumman was hardly the first, or last, case of an aircraft disappearing in a remote part of Alaska. Aircraft have gone missing in the 49th state since long before it was a state. In 1925, Noel Wien’s fate was unknown for several days after he was blown off course by strong winds over the Sawtooth Mountains when returning to Fairbanks from the village of Wiseman. As later recounted in The Flying North, he ran out of gas and oil in his Standard biplane and was forced to land in the dark on a sandbar. The episode was, for all its inherent drama, just another day on the job for Wien but also indicative of the harsh reality for territorial pilots. Headlines announcing searches for lost and overdue aircraft were common in newspapers from the 1920s and ’30s, when pilots flew to some of the most remote regions looking for missing aviators. Two of the most high-profile searches took place in 1929, first for Russ Merrill, whose Travel Air floatplane was never found and is believed lost in Cook Inlet, and later for Carl “Ben” Eielson, whose body, along with mechanic Earl Borland’s, was located in the wreckage of his Hamilton Metalplane in Siberia three months after it disappeared while flying a fur contract. Harsh terrain and challenging weather conditions make airplane disappearances part of the reality of flying in Alaska. During World War II, the U.S. Army Air Forces maintained files on the many crashed and missing military aircraft in Alaska, most of them associated with the Lend-Lease program. After the war, all search and rescue operations in the territory formalized and were handed off to the military. Several different squadrons and air wings over the years were placed in charge, under the auspices of the U.S. Air Force’s Alaskan Air Command, until 1994 when the the Alaska Air National Guard’s Alaska Rescue Coordination Center became the primary respondent for overdue inland aircraft. (The Coast Guard remains the primary respondent offshore.) The system continues to include civilian pilots and groups, however, a necessity due to the state’s uniquely challenging topography. But while search and rescue operations have been fairly consistent for decades, record keeping has not. To learn about much older flights, such as Russ Merrill’s in 1929, researchers must visit archives and libraries to pour over historical records, and they often walk away disappointed. For those civilian aircraft lost since 1962, however, the situation is far better. The Alaska regional office of the NTSB in Anchorage has curated missing aircraft files since 1962. It is in this nondescript federal building where everything that is known to date about Alan Foster’s final flight, and about 40 others like it also still missing, can be found. The reports range from those with scant details about aircraft, pilot and last location to far more in-depth reports, which include witness statements and specific search references. By far the most famous missing aircraft in state history is the Cessna 310 operated by Pan Alaska Airways, N1812H, which disappeared on October 16, 1972, between Anchorage and Juneau. In addition to pilot Don Jonz (who was chief pilot of Pan Alaska), the flight included Alaska Congressman Nick Begich, aide Russell Brown and Louisiana Congressman Hale Boggs, the House majority leader. The men were planning to attend a rally for Begich in Juneau when the plane went down somewhere during the three-and-a-half-hour-long flight. Jonz filed a VFR flight plan upon departure from Anchorage at 9:00 a.m. stating his intended route was via the V-317 airway to the village of Yakutat, and then direct to Juneau. Traditionally, pilots operating VFR along V-317 fly southeast over the Turnagain Arm of Cook Inlet, through Portage Pass, over Prince William Sound to Johnstone Point, and then on to Yakutat. Weather in this entire area was marginal and not recommended for VFR on October 16 and included a ceiling of 700 feet overcast in Yakutat with visibility of 1½ miles and fog, and indefinite ceiling in Juneau, 500 feet obscured, half-mile visibility in fog. Portage Pass was forecast to be closed, and moderate rime icing was forecasted en route. Dozens of civilian and military aircraft (as well as the Coast Guard, Merchant Marine and fishing vessels) looked for the wreckage in one of the largest aerial searches in U.S. history. 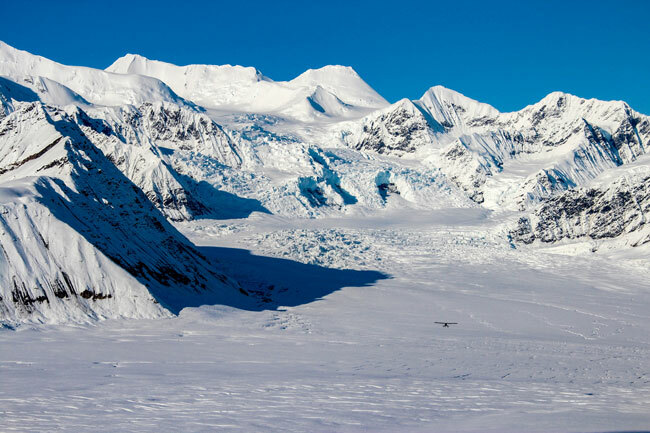 Covering 325,755 square miles and including over 1,000 sorties and 3,600 flight hours, the search encompassed a large swath of the Prince William Sound and Gulf of Alaska coastlines, some of the state’s largest glaciers and even the towering Wrangell St. Elias Range. Additionally, Portage Pass was searched twice by ground units. Unfortunately, N1812H did not have an Emergency Locator Transmitter (ELT), as required by a recently passed Alaska state law. On November 24, the search was terminated, and on December 29 the four men were declared dead. This B-24D Liberator crash-landed on Atka Island on December 9, 1942. It remains there as part of the World War II Valor in the Pacific National Monument. In short order, the 60-some pages of weather reports, witness interviews, and pilot and aircraft history concerning N1812H were relegated to the same file cabinet in the same back room in Anchorage where they now reside with the records for N3789L, a C-172 lost between Northway and Juneau in 1967; N8022Z, a C-206 lost between Anchorage and King Salmon in 1986; N56877, a Piper Cherokee lost near Chitina in 1999; and N9313Z, a de Havilland Beaver lost in Katmai National Park in 2012. Along with all of the missing aircraft files, these cases wait for a new discovery or development that will prompt a final closure to their long open investigations. And while stubborn conspiracy theories in some quarters have surrounded the Begich/Boggs crash for decades, Alaskans view it as another tragic but all too familiar entry in the state’s aviation history. Aside from its famous occupants, the crash of N1812H is little different from thousands of others that preceded it. One positive aspect of the disappearance of N1812H is that it spurred Congress to act, and a law was passed in 1973 requiring all U.S. registered civil aircraft be equipped with ELTs. The widespread use of ELTs had a powerful impact on search and rescue operations, but in the decades since the equipment was mandated, technology has seen tremendous advances that go far beyond its capabilities. 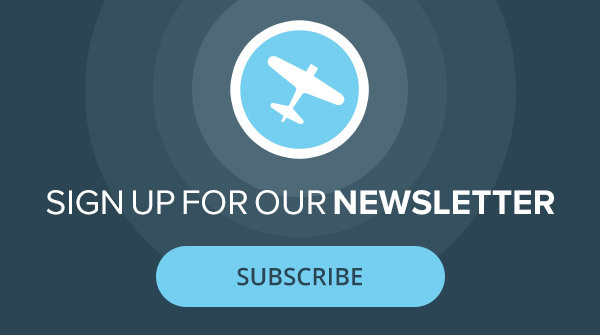 This was clear in a recent accident that has resulted in a personal legislative effort that one Alaskan family would like to see for aviation safety. On April 14, 2015, at 1:15 p.m., pilot Dale Carlson contacted Anchorage Approach to report engine trouble while flying his Cessna 180 over Prince William Sound. Carlson was about 60 miles from Valdez and had been cleared for an instrument approach when he developed engine problems while descending from 10,000 to 8,000 feet. 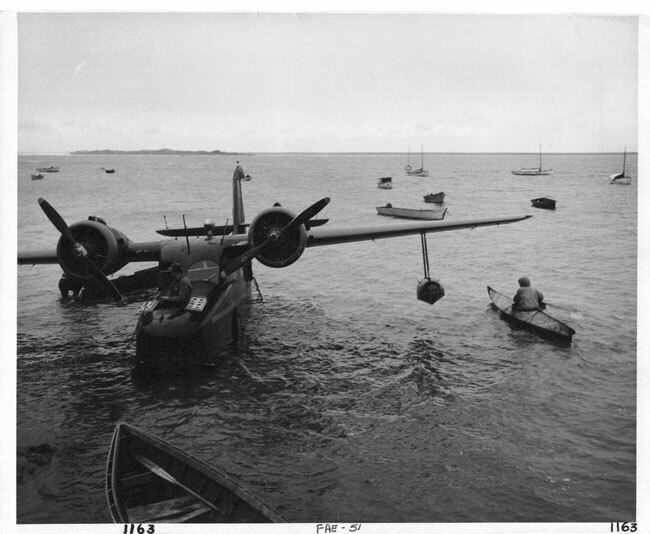 Six minutes later, Carlson declared an emergency and reported he would attempt to land on the beach of a nearby island. The controller acknowledged his predicament and then, two minutes later, received a final, brief, transmission from the aircraft. An ELT signal was detected at 1:30 p.m., and a search immediately commenced. Based on the last radar contact, the Coast Guard initially focused its search on the east side of Perry Island. However, when Carlson’s family was contacted, they immediately made searchers aware that N9247C carried Spidertracks, a satellite tracking system for aircraft, and based on the information they had through it, Perry Island was not where Carlson’s plane would be found. About 2:40 p.m., searchers changed their focus to the east side of Culross Island, seven miles from Perry Island. At 5:00 p.m., Dale Carlson’s body was found on the eastern shoreline there, along with the left landing gear and strut from what is believed to be his aircraft. The rest of the Cessna 180 was likely sunk in Prince William Sound. Other new technologies also hold great promise. The FAA’s mandated ADS-B interdependent aircraft tracking system allows controllers to keep track of aircraft in many locations, but there are still sizable gaps. Personal locator beacons, some of which can automatically alert authorities to the whereabouts of a downed flight, can summon help to the exact location of the accident. And personal messaging devices allow pilots to call for help via satellite-linked text messages. For all the potential solutions to future accidents that modern technology offers, the quest for answers to the past remains. There are still families longing for the day when Alaska’s shifting landscape reveals the fate of their loved ones. And collectively, all of these losses stretching back more than 80 years weigh heavily on the state’s residents. To date, there is no further information on the location of N3705W or what became of its pilot, Alan Foster. The file remains open. Colleen Mondor is a writer and historian who has been covering Alaska aviation for decades. She is the author of “The Map of My Dead Pilots: The Dangerous Game of Flying in Alaska” and is currently at work on a book about the 1932 Mt. McKinley Cosmic Ray Expedition. For more about technologies used to improve remote operations, check out our article on How To Keep From Going Missing…Forever. Your story brought back memories for me. I was a young buck sergeant assigned to the Alaskan Air Command public information office in the early 1970s. One of our duties was to share the after hours and weekend reporting of missing aircraft for the Rescue Coordination Center, at that time located on Elmendorf Air Force Base, about two blocks from our office. I remember my first time in the RCC. I had gone over there to talk to the duty sergeant and get enough information to make a news release for the papers, numerous radio stations, and the TV stations around the state. A small 3 x 5 card file sat on the sergeant’s desk. I asked what was in it. That’s missing aircraft that have never been found. He told me to look through it. I was astounded. There were hundreds of cards going back to WWII. Among the missing aircraft was an RC-135 (a spy version of a 707), a DC-6, and too many aircraft to remember. A year later an Air National Guard flight from the Lower 48 which had come to Alaska for an “exercise” spotted what appeared to be a wing sticking out the end of a glacier down on the Alaska Peninsula. It turned out to be a C-118 (DC-6) that had disappeared15 or 20 years previously. The plane had crash landed on a glacier, been covered up by snow, and progressively became deeper and deeper in the glacier until the ice river spit it out. The recovery crews were able to retrieve the remains of the crew. I vividly remember the search for Hale Boggs and Nick Begich. The RCC was of course in charge and between military and voluntary aircraft, I believe there were thousands of flying hours flown in the search without a trace. Don Janz, the pilot of the 310, had coincidentally written an article for Flying Magazine that was on the newsstands when they disappeared in which he offered some ideas on how icing could be avoided or dealt with in an aircraft not equipped with anti-icing equipment. Since a great deal of the flight was over water thousands of feet deep, my guess is we’ll never know what happened. I also remember the P-39 fighter found by a prospector west of Fairbanks. It had a red star painted on the side, but the aircraft was largely intact. The aircraft was one of the thousands given by the U.S. to the Russians during the lend lease program in WWII. The Air Force rolled an H-3 helicopter that flew to the site, cut back enough trees to clear a space, and lifted the P-39 into the air and flew it back to Eielson Air Force Base near Fairbanks. No doubt there are still dozens, if not hundreds, of aircraft still hidden in the vastness of Alaska. Public Law 91-956 signed in 1970 by Richard Nixon was a rider to the OSHA bill that required ELTs be installed in all US aircraft. This was well before the Begich Boggs search. I have found aircraft debris with the partial tail numbers 272… There is also a partial fuselage (about 19 ft. long) with the door that could be the crew compartment entrance, engines and a piece that could be a cockpit section. January 26, 1950 a U S Air Force C-54 42-72469 with 44 souls on board disappeared supposedly near Snag Yukon. This is about 110 miles from Snag Yukon located in Alaska. I have Google Earth images for anyone interested in viewing them. Alan, I would like to see the images.